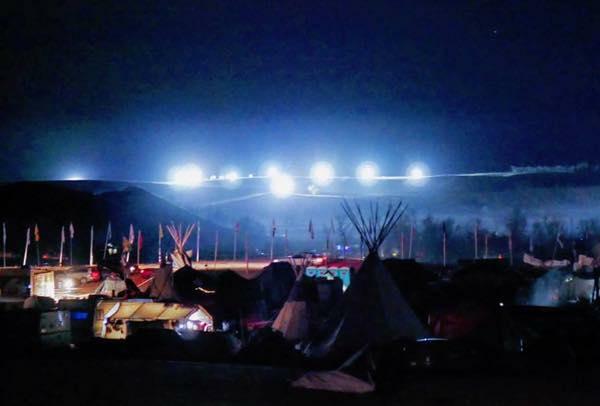 Conor Varela Handley – Water protectors were under constant surveillance and harassment from the perimeters of their camps, day and night. 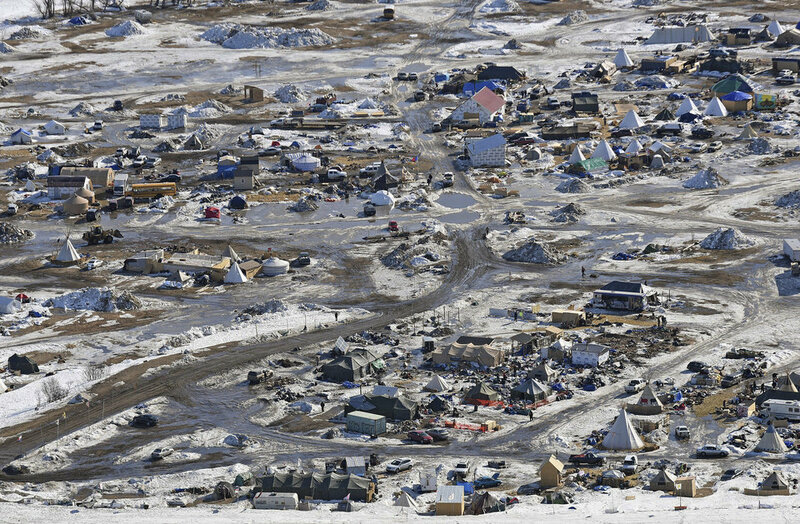 This aerial photo shows the Oceti Sakowin camp, where people have gathered to protest the Dakota Access pipeline on federal land, Monday, Feb. 13, 2017, in Cannon Ball, N.D.
Oil could be flowing through the Dakota Access Pipeline in less than two weeks, according to court documents filed by developer Energy Transfer Partners. The Texas-based company building the $3.8 billion Dakota Access pipeline says oil could be flowing in less than two weeks. The Washington Times reports, Attorneys for Energy Transfer Partners (ETP) said in a court-ordered status report Thursday that the final 1,100-foot section is nearly finished, which would enable the 1,172-mile, four-state pipeline to begin operations months ahead of previous estimates. According to The Associated Press, the work under the Missouri River reservoir is the last stretch of the pipeline that will move oil from North Dakota through South Dakota and Iowa to a shipping point in Illinois. 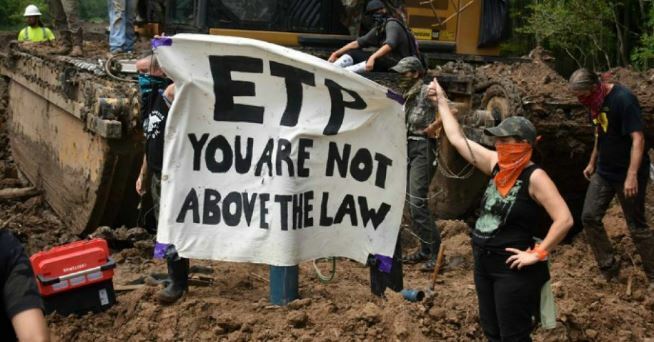 ETP got permission for the lake work last month from the pro-energy Trump administration, though Native American tribes continue fighting the project in court. The Standing Rock and Cheyenne River Sioux tribes say the pipeline threatens their drinking water, cultural sites and ability to practice their religion, which depends on pure water. Yesterday, dozens of people were arrested as police in full riot gear cleared the Oceti Sakowin camp where opponents of the Dakota Access pipeline had gathered for the better part of a year. About 220 officers and 18 National Guardsmen methodically searched protester tents and other temporary homes for remaining holdouts. 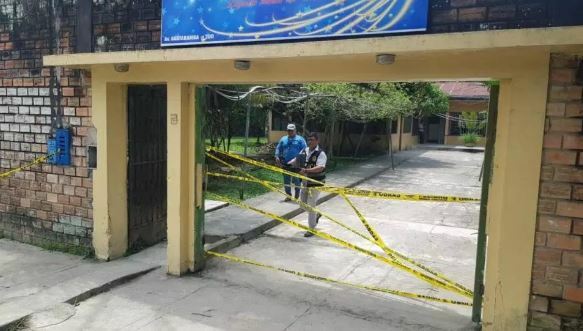 Authorities said they arrested 46 people, including a group of military veterans who had to be carried out and a man who climbed atop a building and stayed there for more than an hour before surrendering. The arrests occurred a day after the Army Corps of Engineers ordered protesters to clear the camp by a 2 p.m. Wednesday deadline. Shortly before the Wednesday deadline about 150 people left the camp blocking the last section of pipeline. Police have made more than 700 arrests since protests began. 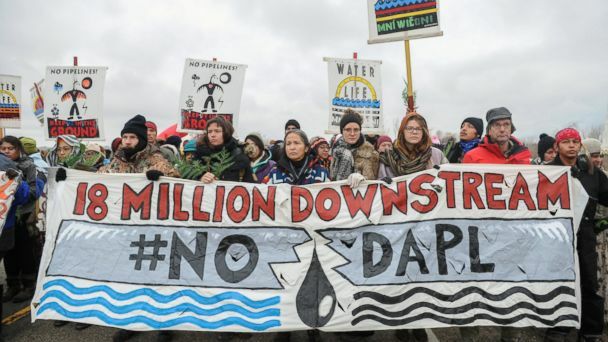 The U.S. Army Corps of Engineers has decided it won’t grant an easement for construction on the final section of the Dakota Access Pipeline. The Energy Transfer Partners $3.8 billion underground oil pipeline project is largely complete except for the segment underneath Lake Oahe. 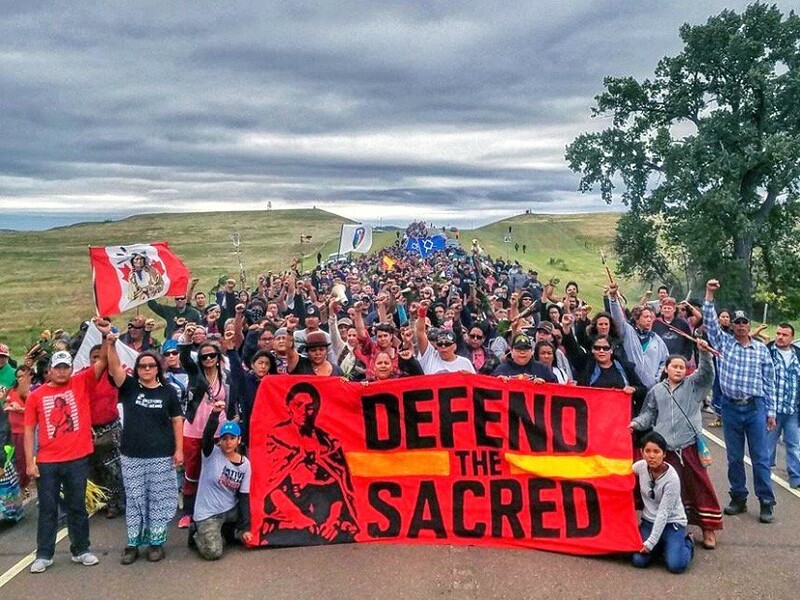 The Army Corps decision is a victory for the Standing Rock Sioux Tribe and thousands of demonstrators across the country who flocked to North Dakota in protest of the Dakota Access pipeline. The route has been the subject of months of protests by the tribe and others, who have argued the pipeline threatens a water source and cultural sites. 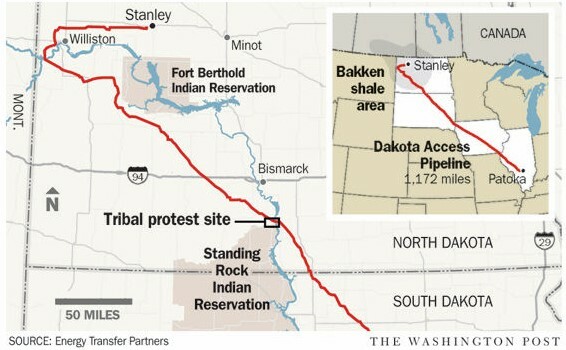 According to Star Tribune, Corps spokeswoman Moria Kelley said in a news release Sunday that the administration will not allow the pipeline to be built under Lake Oahe, a Missouri River reservoir where construction had been on hold. North Dakota Gov. Jack Dalrymple said in a statement that the Corps’ decision “is a serious mistake,” “prolongs the serious problems” that law enforcement faces and “prolongs the dangerous situation” of people camping in cold, snowy conditions. 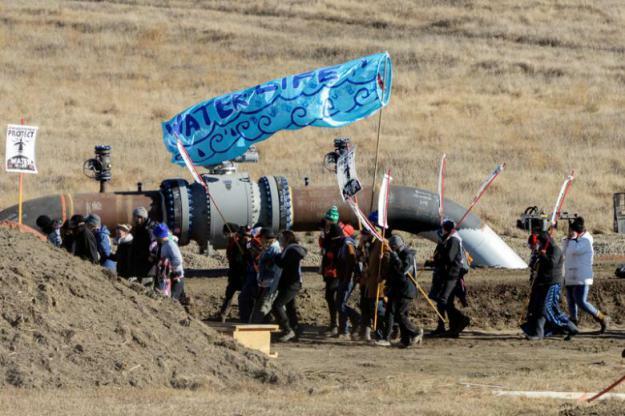 NBC News reports, North Dakota Republican Rep. Kevin Cramer says that the Army Corps’ decision not to grant an easement for the Dakota Access oil pipeline is “a very chilling signal” for the future of infrastructure in the U.S. The federal government has ordered people to leave the main encampment, which is on Army Corps’ land, after Monday. Demonstrators say they’re prepared to stay, and authorities say they won’t forcibly remove them. The group had said about 2,000 veterans were coming, but it wasn’t clear how many actually arrived. Both the Cheyenne River Indian Reservation and the Standing Rock Indian Reservation occupy much of the western shoreline of Lake Oahe. Trump’s 2016 federal disclosure forms show he owns stock in the company building the disputed oil pipeline. President-elect Donald Trump holds stock in the company building the disputed Dakota Access oil pipeline, and opponents of the project warn those investments could affect any decision he makes on the $3.8bn project as president. Trump’s 2016 federal disclosure forms show he owned between $15,000 and $50,000 in stock in Texas-based Energy Transfer Partners. That’s down from between $500,000 and $1m a year earlier. While Trump’s stake in the pipeline company is modest compared with his other assets, ethics experts say it is among dozens of potential conflicts that could be resolved by placing his investments in a blind trust, a step Trump has resisted. “Trump’s investments in the pipeline business threaten to undercut faith in this process – which was already frayed – by interjecting his own financial wellbeing into a much bigger decision,” Sharon Buccino, director of environment group Natural Resources Defense Council, told the Associated Press news agency. Concern about Trump’s possible conflicts comes as protests over the pipeline have intensified in recent weeks, with total arrests since August rising to 528. 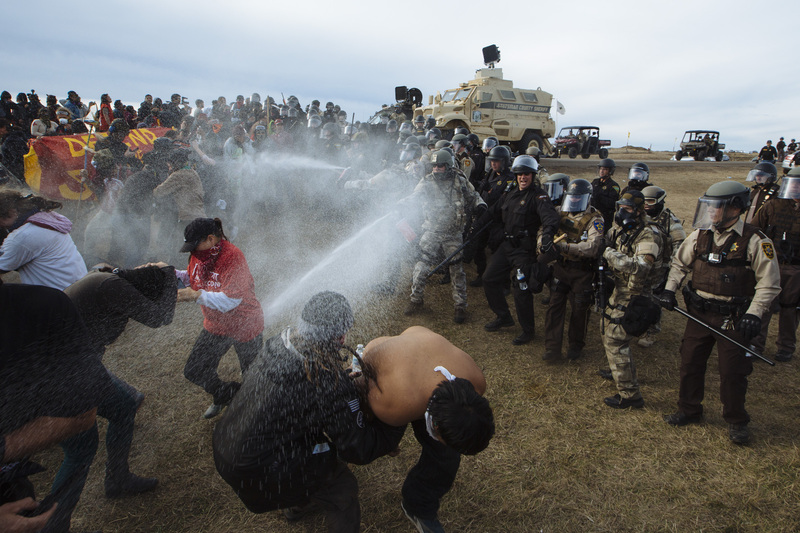 A clash this past week near the main protest camp in North Dakota left a police officer and several protesters injured. In an interview with Al Jazeera, Orlando Cruz, a Native American protester, said the pipeline symbolises the subjugation of his people by the government for centuries. “They took our land from us. They said, ‘Here, this is yours, here’s a reservation, you can do what you want on it.’ And we are here in the reservation now, and we don’t get to do what we want with it. 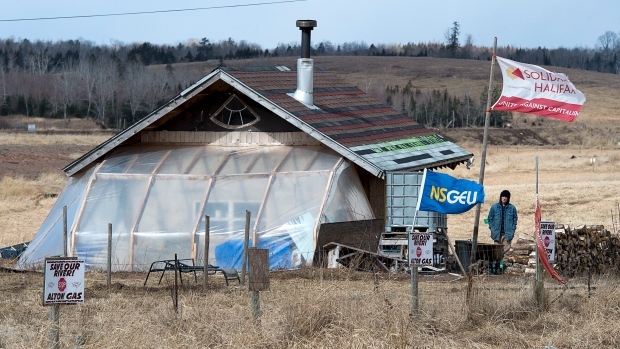 And they get to put their pipeline through it,” he said. The Obama administration said this month that it wants more consideration and tribal input before deciding whether to allow the partially built pipeline to cross under a Missouri River reservoir in North Dakota. 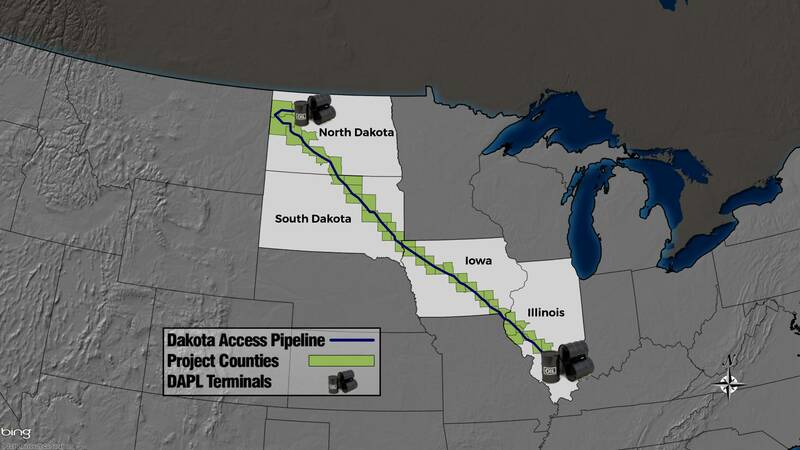 The 1,200-mile pipeline would carry oil across four states to a shipping point in Illinois. The project has been held up while the Army Corps of Engineers consults with the Standing Rock Sioux, who believe the project could harm the tribe’s drinking water and Native American cultural sites. Trump, a billionaire who has never held public office, holds ownership stakes in more than 500 companies worldwide. He has said that he plans to transfer control of his company to three of his adult children, but ethics experts have said conflicts could engulf the new administration if Trump does not liquidate his business holdings. Arizona Congressman Raul Grijalva, the senior Democrat on the House Natural Resources Committee, called Trump’s investment in the pipeline company “disturbing” and said it fits a pattern evident in Trump’s transition team. Besides Trump, at least two possible candidates for energy secretary in his incoming administration also could benefit financially from the pipeline. No easement will be granted to drill under the Missouri River to complete the Dakota Access Pipeline as the feds call for more study of concerns raised by the Standing Rock Sioux tribe. 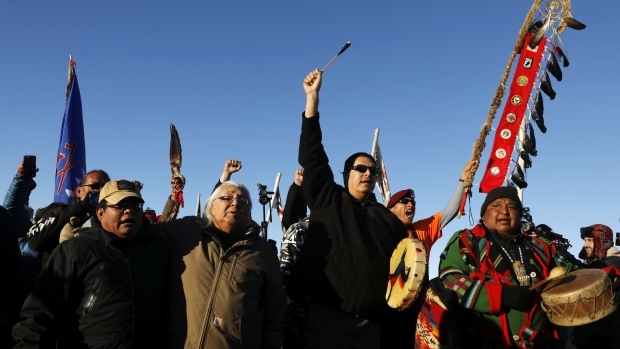 In a victory for the Standing Rock Sioux Tribe, the U.S. Army Corps announced Monday that it won’t grant an easement to allow completion of the Dakota Access Pipeline while it looks further into concerns raised by the tribe. 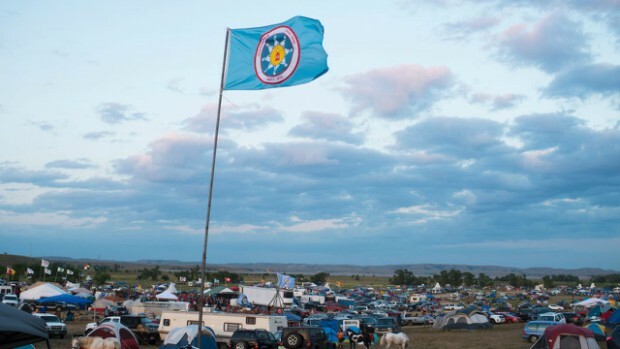 The Corps announced it would set a timeline with the tribe for further consideration of its concerns, including the risk of spills into the Missouri River, the drinking water source for the tribe and more than 17 million people downstream. Energy Transfer Partners of Dallas Texas has completed the more than 1,100-mile oil pipeline through four states but for the last stage: drilling under the river to finish the pipeline. For that, it needs the easement to cross Corps land. The tribe has adamantly opposed the pipeline, to protect drinking water and sacred sites in its ancestral lands. Hundreds of people have been camped near the proposed crossing since last April to oppose the pipeline and support the tribe. Washington tribes, fighting fossil fuel projects, too, have joined in the struggle, traveling to the camps and taking donations. Energy Transfer Partners could not be reached for comment Monday. The company stated on Election Day that it expected the pipeline to be quickly approved, and that it expected the easement to be in hand as soon as Monday. The announcement was a setback to those expectations. In a statement Friday, the company said it believes it already has the permission it needs to complete the project, as part of earlier permits. Any grounds given by the Corps for further review “reek of political interference,” the company stated. If the Corps eventually denies the easement, it won’t be a simple matter of President-elect Donald Trump — an investor in the pipeline project — later granting it, said Jan Hasselman of Earthjustice in Seattle, attorney for the Standing Rock Sioux. “Do we think they will try to undo any positive decision from the Obama Administration? Yes we expect they will. 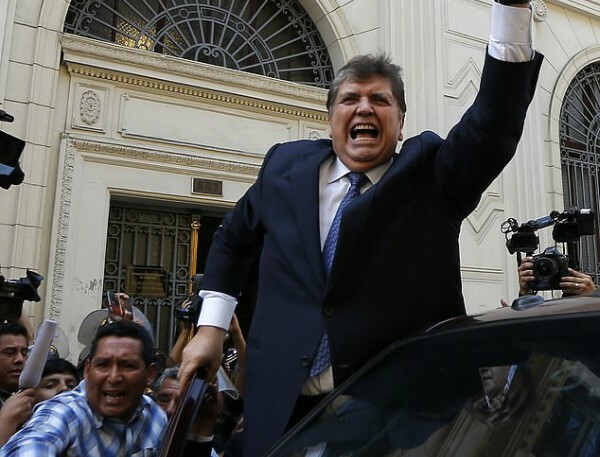 And we will see them in court,” Hasselman said. The tribe already has sued to block the project in federal court, declaring risks to the environment were overlooked in the fast-track, piecemeal review of the project. That suit is pending. The tribe also has demanded an investigation into alleged destruction of sacred sites by the developer within the pipeline easement the day after the tribe recorded the existence of those sites in court documents. “The facts are undisputed and well established that here were sites in the right of way that were destroyed,” Hasselman said. Federal law prohibits issuance of a permit if a developer intentionally destroys protected sites. 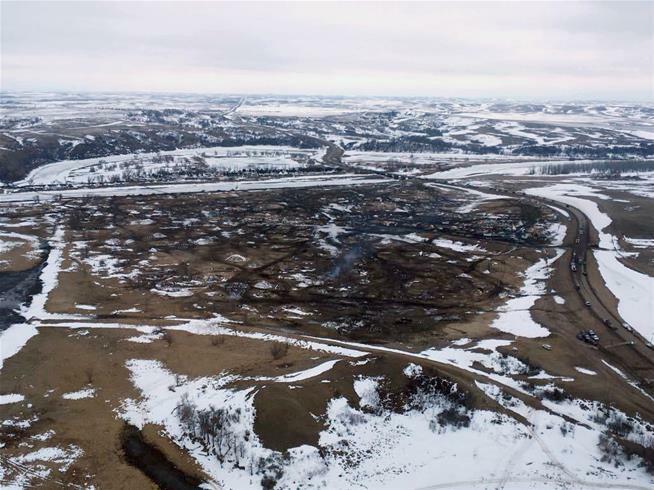 The pipeline was initially routed north of the capital city of Bismarck, Archambault noted, but rerouted by the company in part because of concerns to protect drinking water intakes. The company’s proposed route now crosses within a half mile of the tribe’s reservation boundary and 10 miles upstream of its drinking water intake. 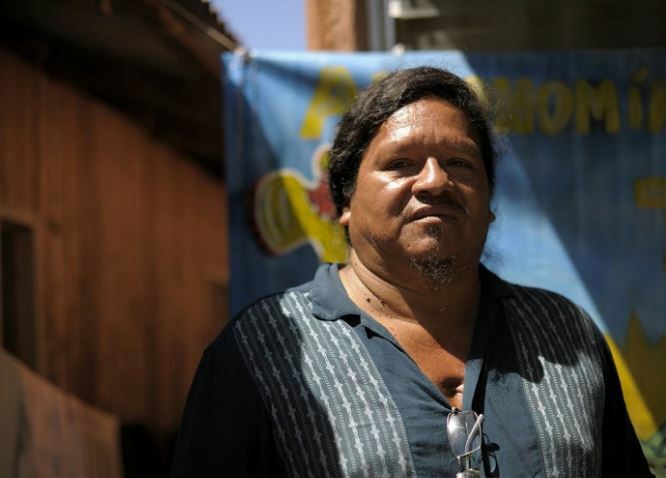 The tribe’s cause has been taken up by thousands of people and hundreds of tribes, climate activists, environmentalists and supporters of tribal treaty rights around the globe. In response, the state of North Dakota and Morton County Sheriff’s Department have met opponents demonstrating against the pipeline with a police force drawn from eight states, and a response including tear gas, rubber bullets, dogs, pepper spray and more than 460 arrests. Still, the demonstrations continue. More than 500 people converged on the state capitol Monday to protest the pipeline, the North Dakota Highway Patrol reported. The patrol’s official seal is an Indian in profile, wearing a war bonnet.